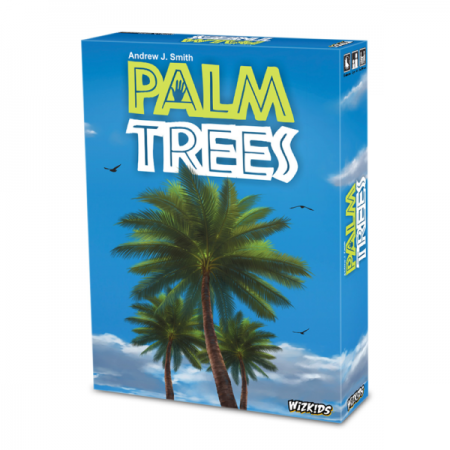 The game can also be played teams of two, with one player acting as the tree while the other adds the fronds and coconuts. In this alternate way of playing, each team simultaneously builds their tree instead of taking turns. The game ends as normal. For extra fun, 6 tree trunk tattoo sleeves have been included with the game—these can be worn by players for extra immersion into the mind of an island tree. Palm Trees will release in June 2019!